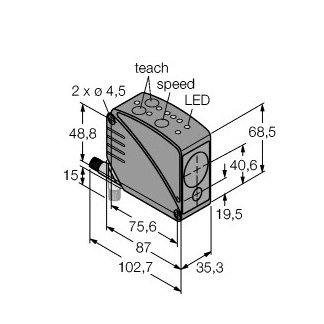 LT3 Series: Laser Diffuse Time-Of-Flight Sensor. Range: 300mm to 5m. 2 Outputs: Discrete: 2 PNP or NPN. 2 m (6.5 ft) Cable. Range: 300mm to 5m (90 reflective white card); 12. LT3 Series: Laser Retroreflective Time-of-Flight S. Range: 500mm to 50m; 12-24V dc. Outputs: Discrete: 2 PNP or NPN. 2 m (6.5 ft) Cable. Range: 500mm to 50m; 12-24V dc. LT3 Series: Laser Retroreflective Time-of-Flight S. Range: 500mm to 50m; 12-24V dc. Outputs: Discrete: 2 PNP or NPN. 8-Pin EURO-Style Quick-Disconnect. 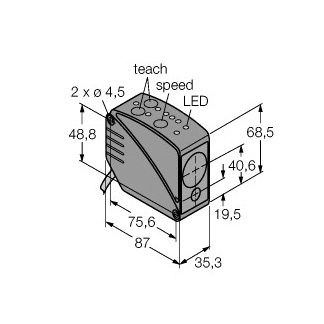 LT3 Series: Laser Diffuse Time-Of-Flight Sensor. Range: 300mm to 5m (90 reflective white card); 12. Outputs: Discrete: 2 PNP or NPN. 8-Pin EURO-Style Quick-Disconnect. Range: 0.3-5.0m w/ 1mm Resolution; Input: 12-24V dc. 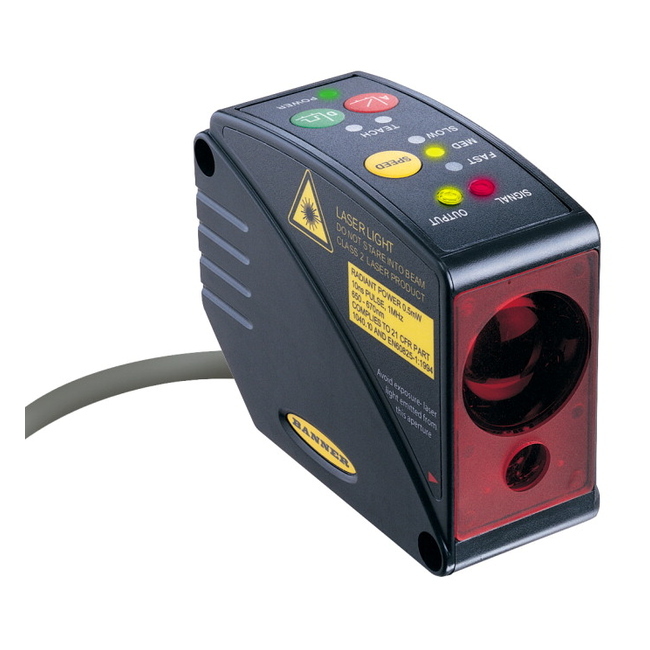 LT3 Series: Laser Retroreflective Time-of-Flight S. Range: 500mm to 50m; 12-24V dc. Outputs: Discrete: NPN Analog 4-20mA. 2 m (6.5 ft) Cable.